Mark Copoulos has an unparalleled dedication to your case. This dedication is manifested by countless positive reviews on various social platforms, and a growing legion of dedicated clients who swear by his services. Copoulos is forthright, competitive, and not going to stop until he gets the best result possible. Mark Copoulos has nearly a decade of trial experience. From 2008-2011 Mark D. Copoulos worked for the Office of the District Attorney of Philadelphia, the First Judicial District, the Honorable Arnold New, and the Honorable Shelley-Robins New as interns and/or staff. Following his departure from the District Attorney Copoulos started his own office in 2011. Copoulos practices eviction and ejectment law, criminal defense, and real estate. I am so thankful for the services of Mark Copoulos.Was charged with DUI and looking at 90 days with a years loss of license. In the end the judge said Not Guilty! Thanks to Mark Copoulos. -Neisha S.
Mark Copoulos is responsive and dedicated to winning. Unlike many attorneys who will collect your retainer fee and give minimal effort, Copoulos will spend hours poring over your case file. This started over fifteen years ago, when Copoulos developed his work ethic putting in sixty to eighty hour weeks through college. Copoulos excelled in college at the University of Arizona, ultimately becoming Student Body Senator, treasurer of the mock trial team, and a resident assistant. While in law school at Villanova University School of Law, Copoulos was a member of both the moot court board and national trial competition team. He was the only member of his class of 262 to compete for both both teams. He also completed externships for Philadelphia civil and criminal judges, and the Office of the District Attorney of Philadelphia. Out of law school Mark Copoulos passed the Pennsylvania and New Jersey bar exams. He then started his own office. Since opening his office, Copoulos has been ranked as a Top Attorney in Criminal Defense with a “Superb” Avvo Rating. 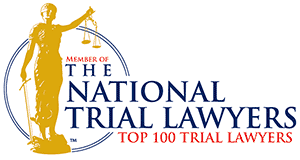 Recently, Mr. Copoulos was selected to the “Top 40 Under 40” Criminal Defense Lawyers by the National Trial Lawyers. Perhaps more importantly, Copoulos has garnered overwhelmingly positive reviews from satisfied clients on various social media platforms including Google, Avvo, Yelp, and others. Mark’s office is located 1628 John F. Kennedy Blvd., Suite 1301, Philadelphia, PA 19103. One of the first questions Mark Copoulos asks his clients is, “What does winning mean to you?” Winning means different things to different people, in different situations. For some winning is getting out of prison, for others it is vindication in court, for a landlord winning may be obtaining an expensive money judgment against a delinquent tenant. Whatever your definition of winning, there is no substitute for winning. We focus relentlessly on winning your case based on your stated definition. We are simultaneously committed to keeping costs down and charging reasonable prices for services rendered. There will be no mark-ups at the Law Office of Mark D. Copoulos. At the end of the attorney-client relationship if we have not won your case we have not done our job. It is that simple.